There is great potential for large underwater turbines engineered to harness power from tides and ocean currents to produce industrial-scale levels of electricity. At the smaller scale, tidal power can be just as useful and, indeed, can be much easier to deploy to meet commercial needs. 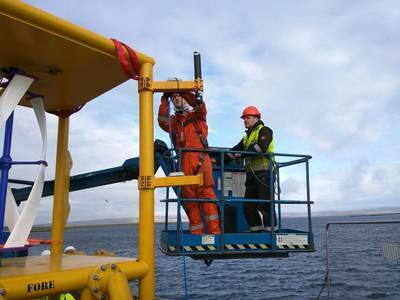 A team of subsea engineers from the North Sea oil and gas industry saw one such potential opportunity and decided to set up their own company – EC-OG – to pursue it in 2013. The result of their endeavors is the Subsea Power Hub, a compact tidal- and ocean-current-based electricity generator, suitable for providing renewable power to subsea oil and gas installations. The most obvious immediate need for this technology is in mature oil and gas North Sea fields. Here, companies are seeking to extend field life, but are having to contend with ageing infrastructure, often in need of upgrading. 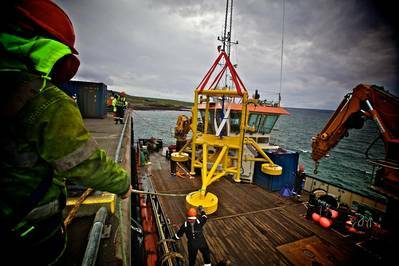 This includes the power supply on which subsea installations such as Christmas trees, manifolds, sensors and other equipment depend to function. If the umbilical cable providing power and communications between the seabed installations and the surface fails, these pieces of equipment are useless. “We saw that wells were shut down due to electrical failures and we recognized there was a need for equipment that could be put in place rapidly to generate electricity in remote locations without needing to tie back long power cables to shore or to surface platforms,” said Paul Slorach, EC-OG’s Business Development Manager. “The Subsea Power Hub provides a more cost-effective way of getting hydrocarbon production back up and running quickly for these mature assets,” he added. The Subsea Power Hub houses one or more small turbines to harness the power from ocean currents and uses this power to keep an integrated battery charged. That battery then provides a stable power supply to the seabed equipment, with the whole setup controlled by an intelligent on-board processor. It’s a neat solution that has the added benefit of introducing a renewable component to fossil-fuel projects, whose developers are keen to show they are making their operations as green as possible. 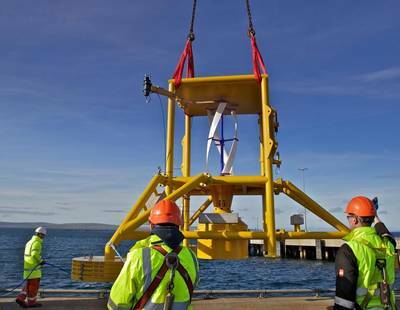 A prototype Power Hub, using one turbine, completed a successful eight-month sea trial in December 2017 at the European Marine Energy Center (EMEC) in the Orkney Islands, northern Scotland. EC-OG is now refining the system to match the requirements of oil and gas field developers. These include having two or more turbines and differing battery sizes depending on site requirements. EC-OG is confident that the Power Hub will have uses beyond filling the gap until power via cable to the seabed can be installed or restored. The equipment offers the prospect of at least five years’ running time without needing maintenance, and probably a lot longer. So it could serve well as a long-term solution, especially in remote offshore areas. It is also modular, so parts can be swapped in and out as new technology, such as improved batteries, come to the market. “The Subsea Power Hub is compact, easy to transport and assemble, and simple to lower to the seabed and connect,” Slorach said. But to ensure the device will function properly and to make sure it has the right specifications, a detailed knowledge of the energy and variability of the currents where it is located on the seabed is required. EC-OG used a Nortek Aquadopp current profiler on the Subsea Power Hub during testing to help develop a detailed picture of how well the turbine and the electrical components within the system performed. The Aquadopp uses acoustic Doppler technology to take measurements, which makes it accurate and also reliable, as it has no moving parts to get clogged up by marine debris. “For the test, we needed to plot the turbine speed and the power output against the flow at a particular time. So we could say for sure that at current speed X, the turbine was turning at Y revolutions per minute,” Slorach explained. 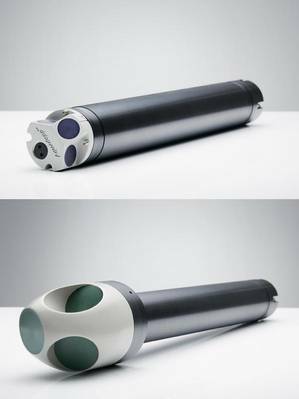 The Aquadopp was able to make accurate measurements in the channel where the Hub was tested – a location of unsettled water where current speed varied between around 0.5 and 1.5 m/s. The data was then stored and processed by the Power Hub before being transferred wirelessly via acoustics to the surface. Slorach said the Aquadopp has withstood its test in the challenging underwater environment. 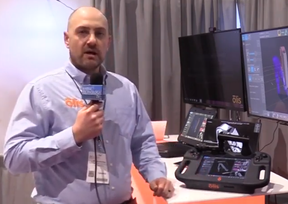 “We’ve continued to use the Aquadopp, because it’s worked, it’s been reliable, and it’s been easy to use. So we see no reason to look for alternatives,” he said. 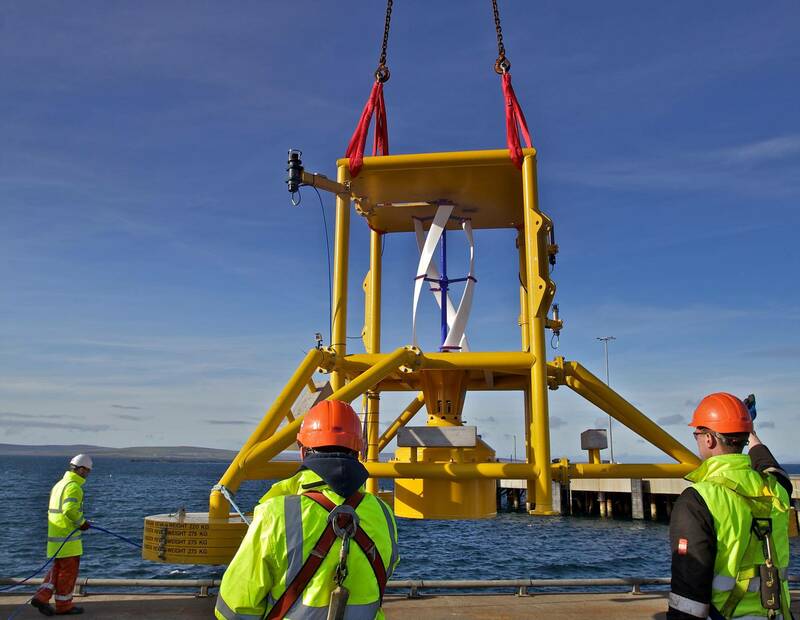 Where currents are difficult to assess, and a current meter is needed, Nortek’s instrument is likely to be the one used in future deployments of the Subsea Power Hub.